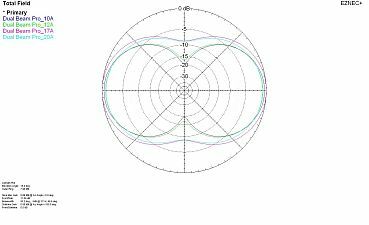 The directional pattern of the Dual beam Pro is that of a traditional dipole (8 pattern). This gives you two preferred directions with maximum gain. When installed at you preferred direction this antenna is a nice improvement even without a rotor. 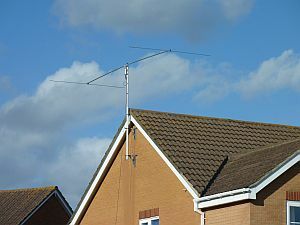 When installed 10m above ground gain is between 6 and 7dBi. 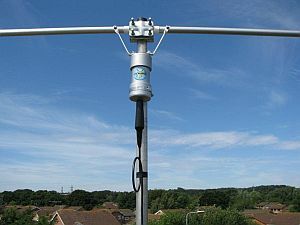 The feed is done with a wideband balun, a tuner is required in most cases due to the non-resonant design. 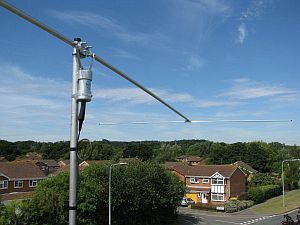 With it's extremely lightweight construction from airplane aluminium, the Dual Beam Pro can be installed on small masts, for example at the gable side of the house. 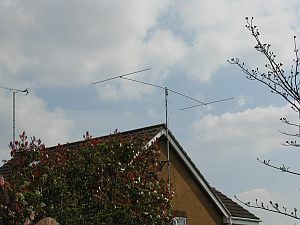 The antenna weighs only 4.0kg and has a very low windload. The rotation radius von just 2.6m keeps enough distance to the neighbour, even on a terrace house. The materials used arestainless steels and galvanized steel, for weatherproof installation. Max. power load is 400W PEP. Gain 14MHz: 6.6 dB @29° Elev. Gain 21MHz: 7.5 dB @19° Elev. Gain 28MHz: 7.3 dB @15° Elev.